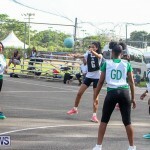 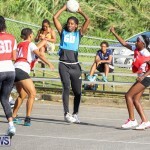 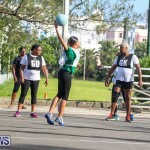 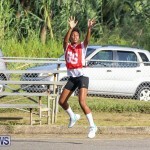 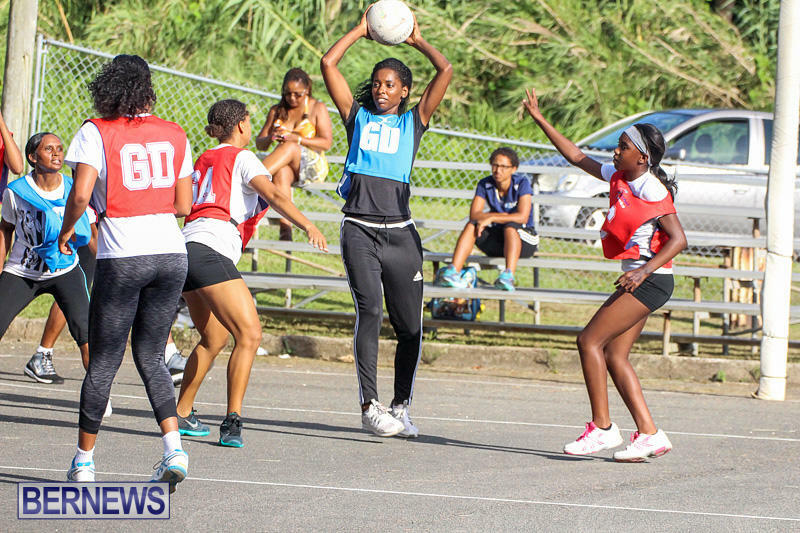 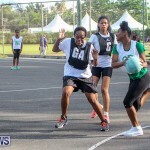 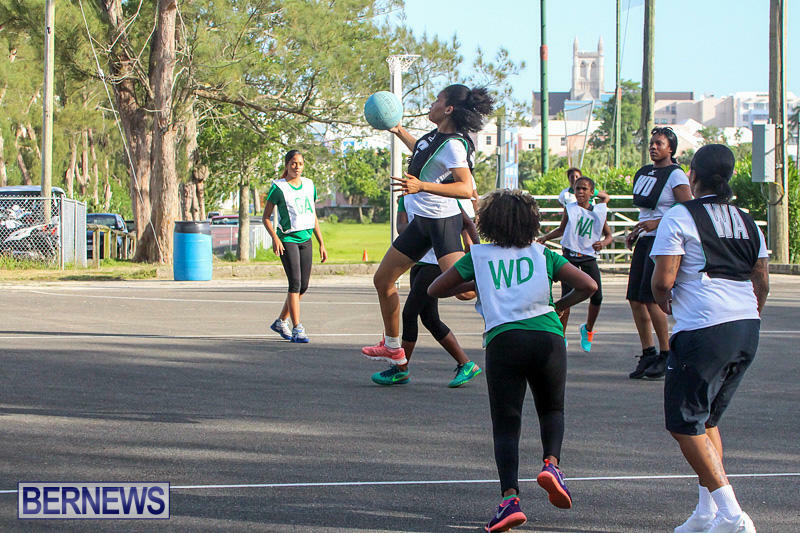 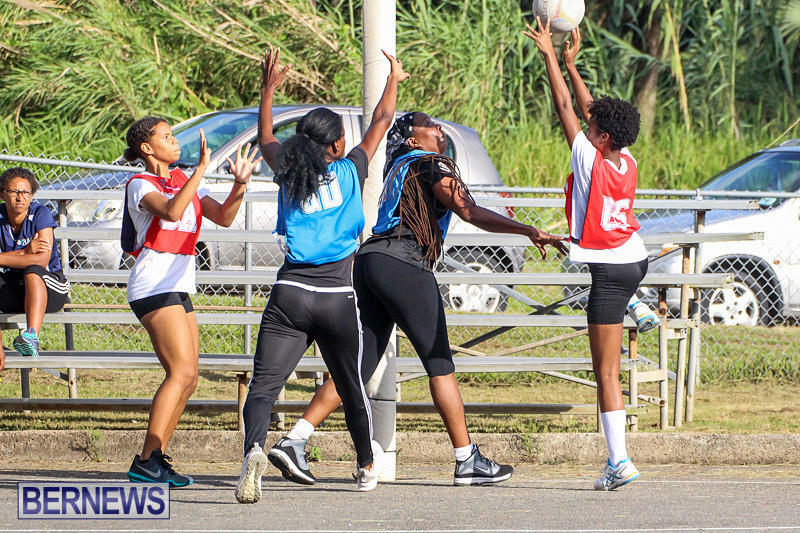 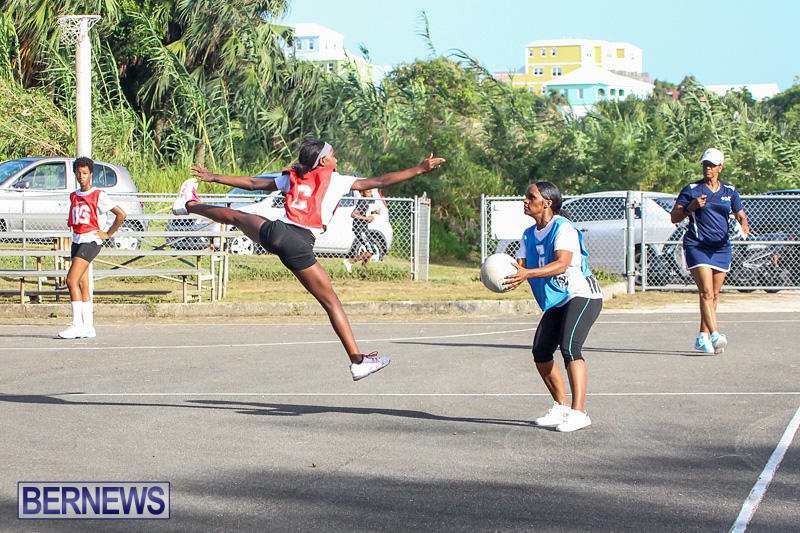 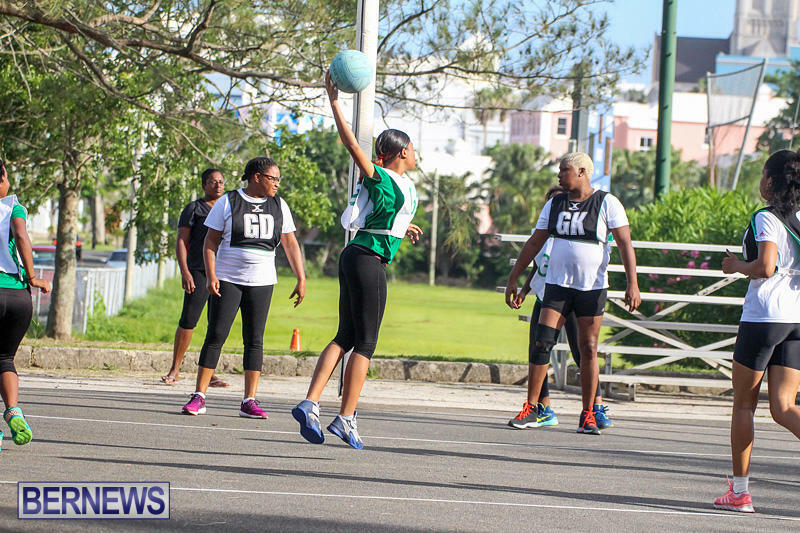 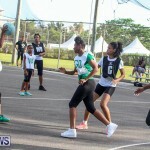 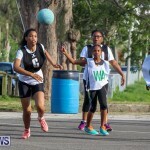 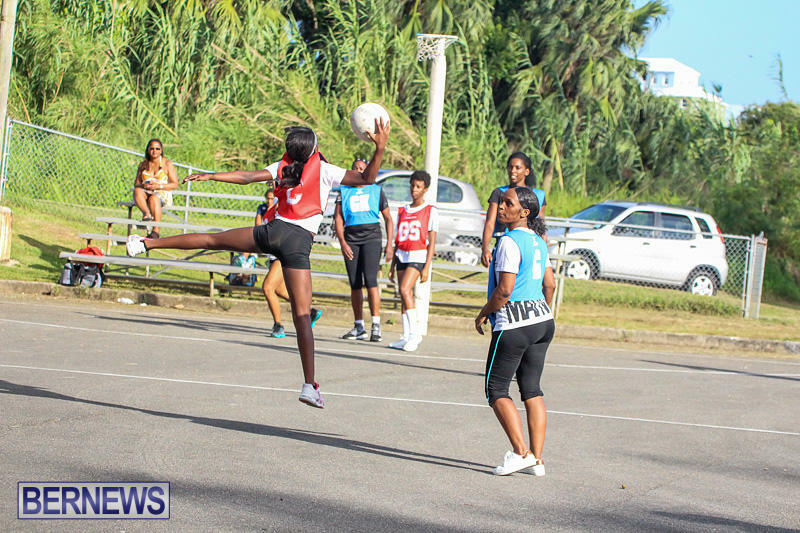 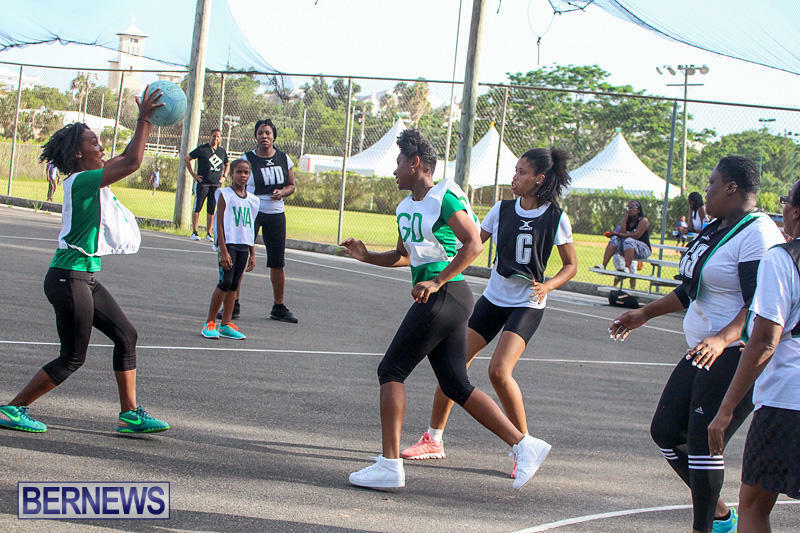 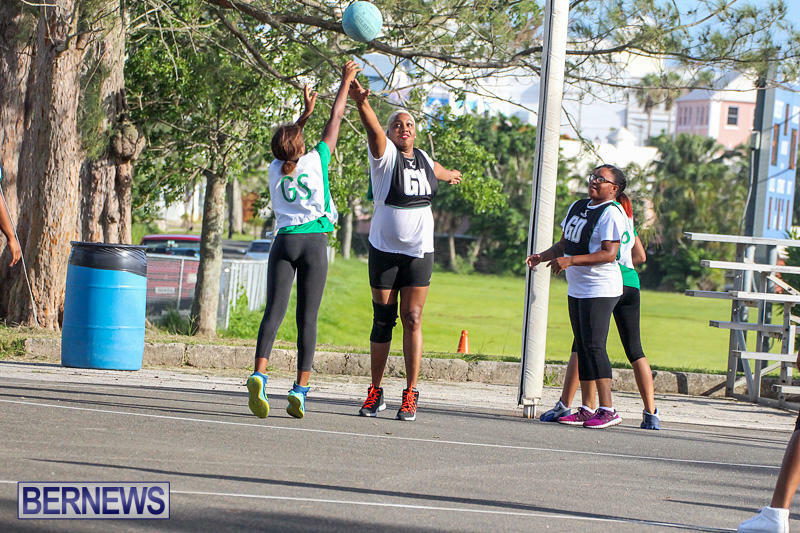 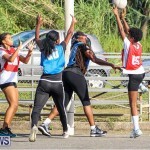 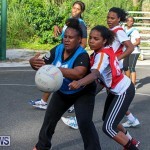 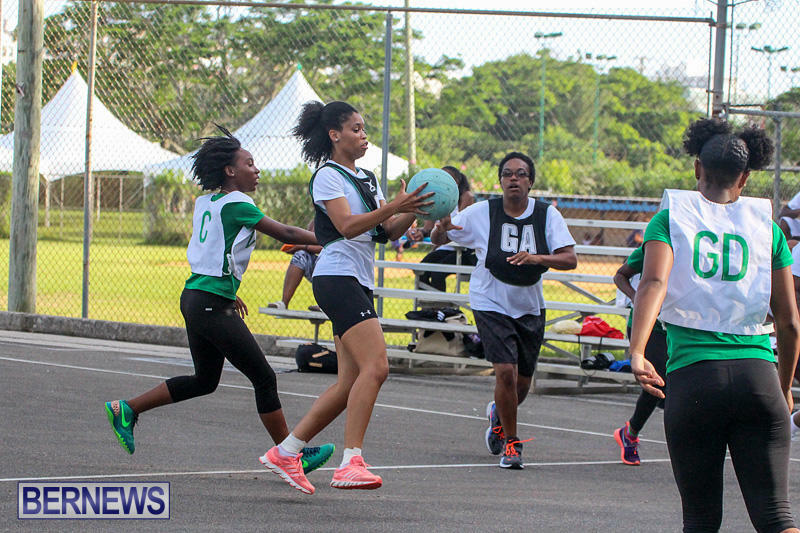 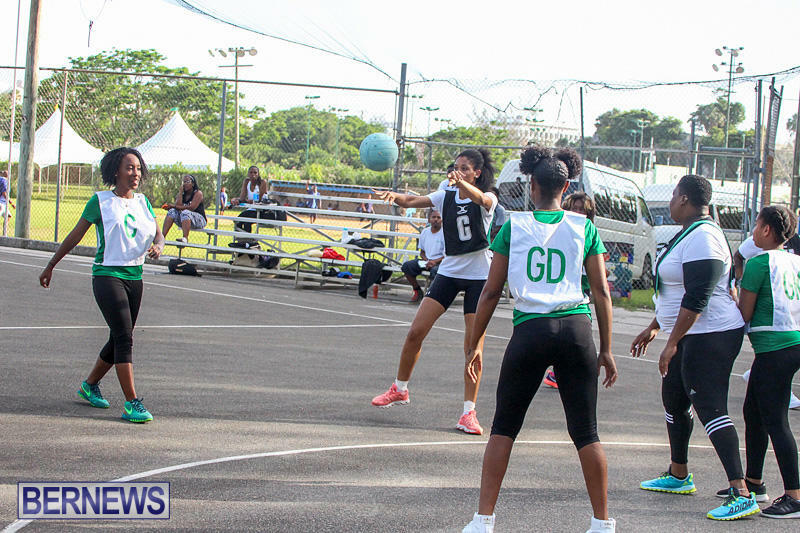 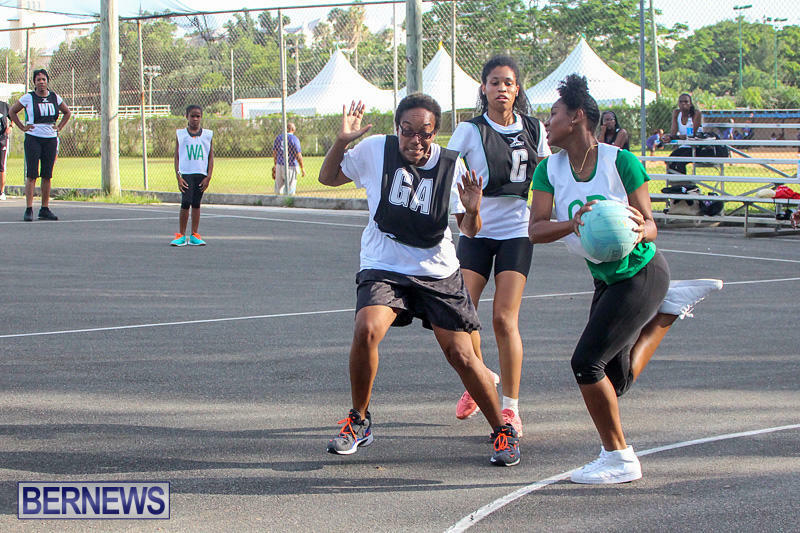 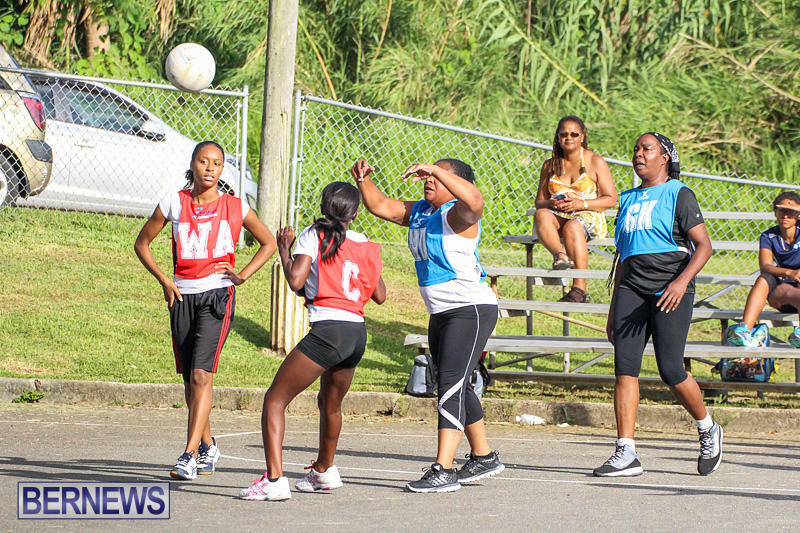 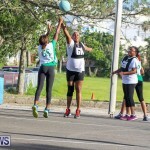 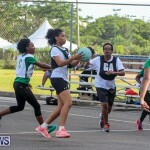 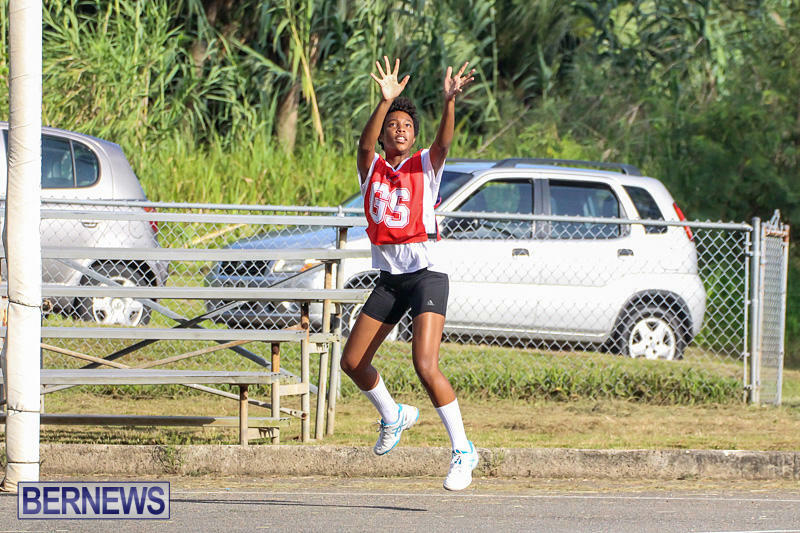 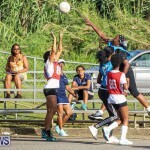 Bermuda Netball Summer League Season action at the Bernard’s Park saw a triple header where the Bermuda Junior National Team and Teachers played to a 16 – 16 tie. 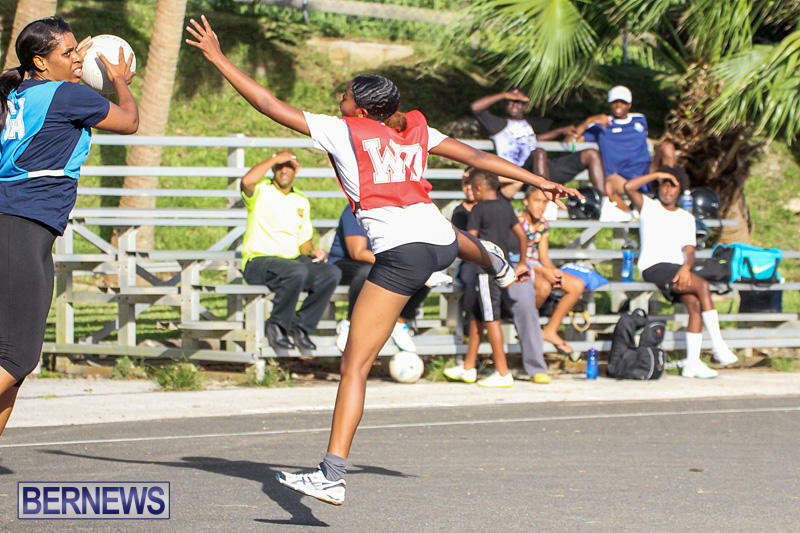 Jasmyn Renfroe scored 12 goals for the Bermuda Junior National Team while Zekiah Lewis added 4 goals. 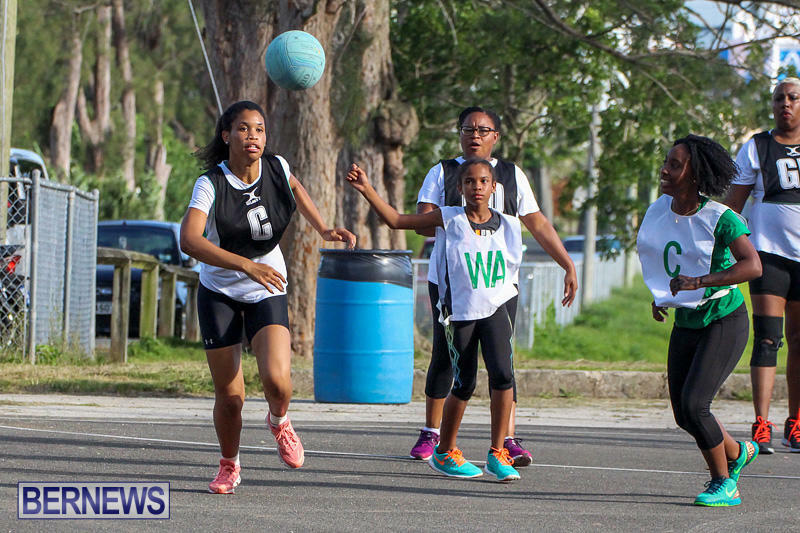 The Teachers got 12 goals from Danielle Raynor to go along with two goals each from Tanika White and Camille Edness. 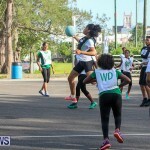 The B.A.C. 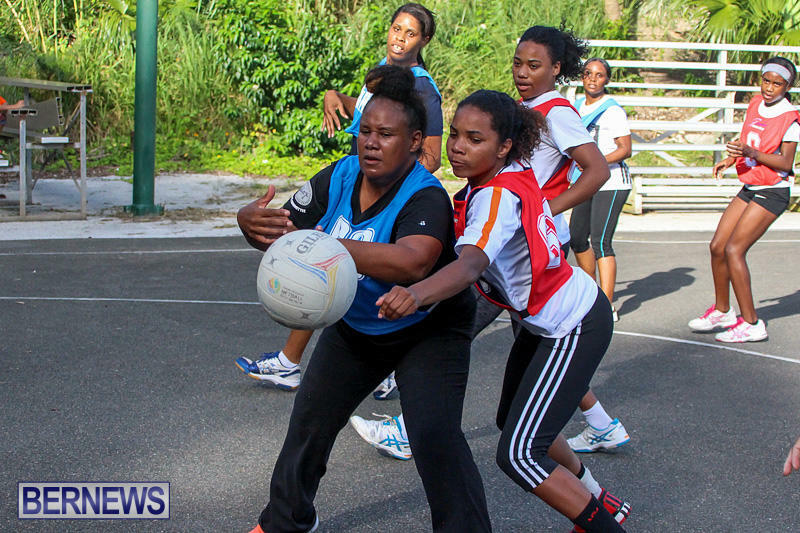 Women in Blue defeated the Village Old Girls 38 – 20 with goals from Kirstin Saltus, Darrika Simons and Sinae Smith. 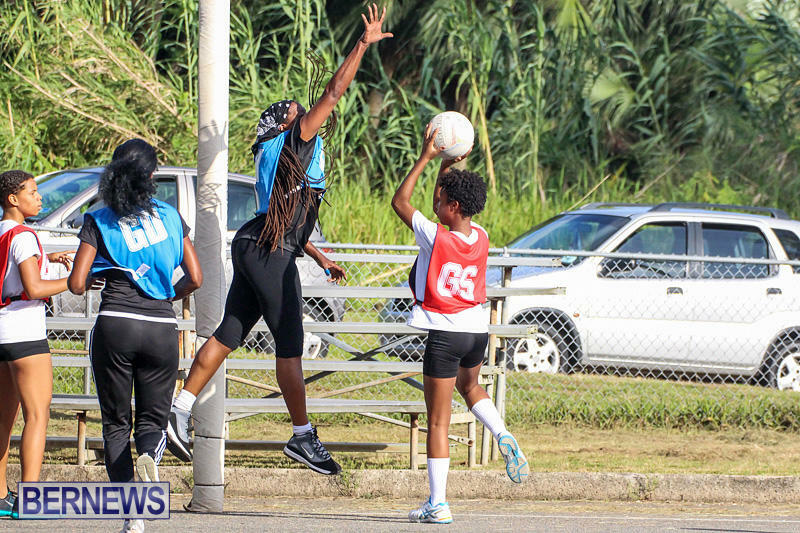 Selina Bascome and Nicole Smith scored for the Village Old Girls. 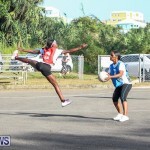 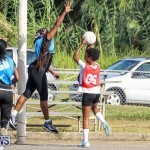 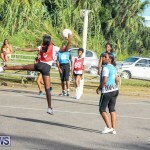 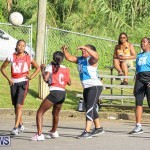 The PHC Lady Zebras defeated the Signworx Netts Green 27 – 14. 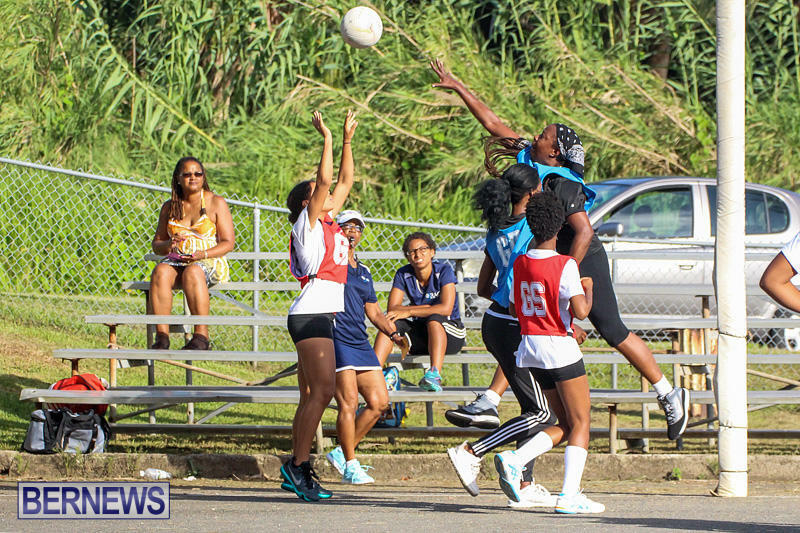 PHC were led in the goal scoring department by Vernicka Symonds with 21 goals while Tyra Simmons added 5 goals and Tahirah Hill scored once.